It’s not easy to combine traditional home baking with production on a large scale but that’s exactly what Authentic Turkish Bakehouse have managed to do! This family-owned business on the Gold Coast bakes delicious Turkish and Lebanese flatbreads and delivers them to cafes, restaurants and wholesalers all over Queensland. Turkish bread with a trio of dips is a common entree found on many menus throughout Australia but there are so many more ways to enjoy their delicious range of flatbreads. No matter how large the order, the bakers at Authentic Turkish Bakehouse follow a secret family recipe and hand-shape every single loaf to ensure the best quality and flavour. As if that wasn’t enough, they also offer a range of Fruit bread, Italian bread (including Focaccia and Ciabatta) and much more – and even guarantee next-day-delivery if the order is placed before noon. If you have a cafe, restaurant or store and would like to offer the best Turkish bread to your customers, contact Authentic Turkish Bakehouse today! There really is no substitute for quality; Nothing personifies this more than Churchill Chesterfields.. Churchill has been designing and producing the finest hand made chesterfield furniture for 30 years; over that time masterpiece artists at Churchill Chesterfields have refined the process of hand crafting the chesterfield pieces to absolute perfection. 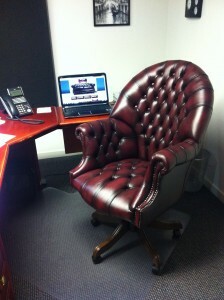 Each and every piece of chesterfield furniture from Churchill Chesterfields is completely customised and hand made. Starting from the frame to the finest English leather, each piece is meticulously put together by specialist chesterfield experts. To them, traditional chesterfields are not just a job, it’s their life’s passion. No matter what your needs, Churchill Chesterfields has the solution for you; they can provide a custom design to suit your exact needs and more importantly wherever your dreams take you. Churchill Chesterfields have a long list of ecstatic customers; check out the showcase gallery of hand crafted chesterfield masterpieces. Based on the Gold Coast, Churchill Chesterfields are the only hand crafted chesterfields available in Australia and services clients Australia wide. The demand nationally has been ever increasing as this type of hand crafted quality sadly is impossible to find. Don’t miss out, get in touch with Churchill Chesterfields today to discuss your new piece of chesterfield furniture. 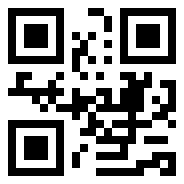 Contact US today, just scan the barcode! Netbiz Web Design by NetBiz Enterprises. Terms of Trade Valid XHTML / CSS.